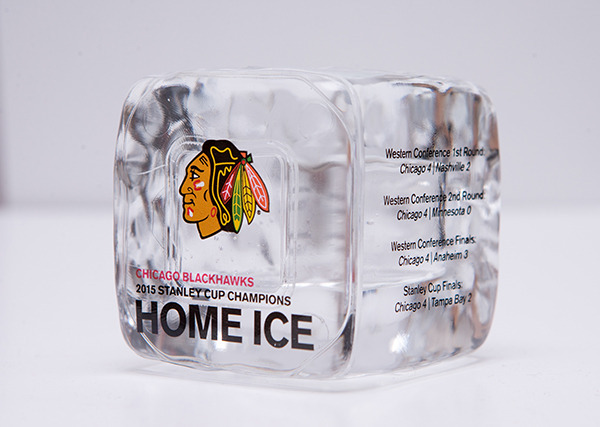 Chicago Blackhawks Charities will sell limited-edition, certified Chicago Blackhawks ice from the 2015 Stanley Cup victory – the organization’s first win on home ice in 77 years – on Friday, Dec. 11. 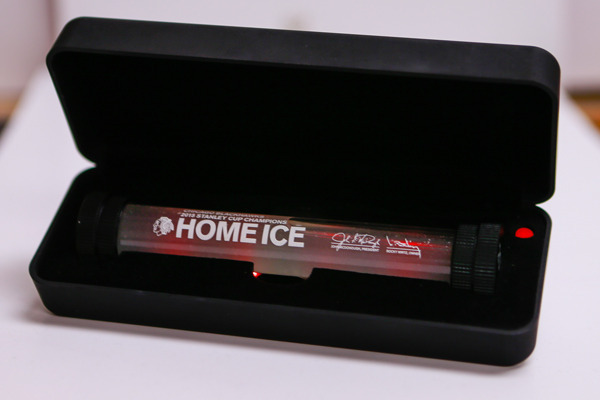 The one-of-a-kind vials and cubes of melted home ice collected by United Center staff can be purchased exclusively at the Blackhawks Store locations on Michigan Avenue, Oakbrook Center and Old Orchard Mall for $99 per vial or $49 per cube, with all proceeds benefitting Blackhawks Charities. Both items will also be available for purchase at the United Center Blackhawks Store location on Friday, Dec. 11. There will be a limited number of vials and cubes available for phone orders starting on Monday, Dec. 14; please contact the Blackhawks Store at 312-759-0079. Each commemorative vial kit will include a leather-embossed display box engraved with the Blackhawks logo and one glass vial, as well as a certificate of authenticity. Each cube kit will include a box with the Blackhawks logo and one cube, which includes postseason opponents and series scores. Blackhawks Charities pledges to support programs and institutions throughout Illinois that focus on health and wellness, education and housing, while striving to serve local citizens and impact the lives of youth and their families in and around the city of Chicago. Since its inception in October 1993, Blackhawks Charities has granted over $14 million to local nonprofit organizations.